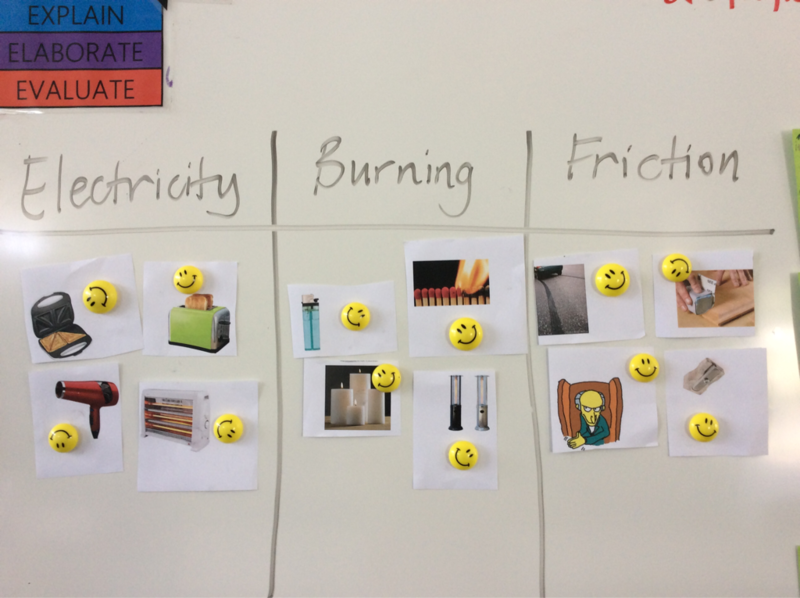 We took some pictures of different heat sources and sorted them into the 3 different energies with our groups, then we shared our reasons why we sorted them that way with the class. After that we thought about any other heat sources that could be added to our 3 types of energy. We added a hairdryer, toaster, sandwich maker, and projector to the electrity energy group. A candle, campfire, gas heater and a lighter were added to the burning group. Then we added a pencil sharpener, rubbing hands together, sandpaper and skid marks from a bike to the friction group.